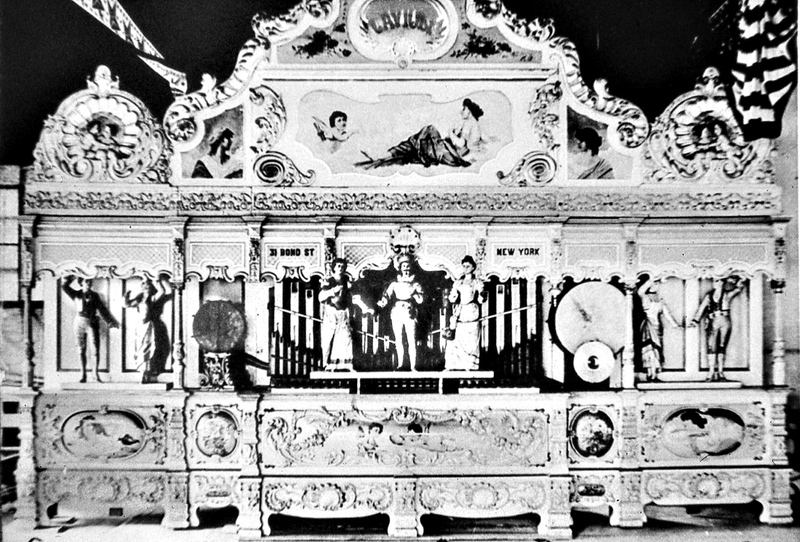 Gaviolis were ornate handcrafted instruments that played by themselves. They were built in the mid 1800’s thru the early 1900’s by a man named Gavioli who was from Italy, but had relocated to France because conditions were better. A small number of them were imported into this country around the turn of the 20th century, and we were fortunate to get one at Ringing Rocks Park. In more recent years, a Gavioli was found under an abandoned and collapsing amusement ride on Coney Island. There are now laws in Europe prohibiting anyone from taking them out of the country they are in.